Shedding pounds can be no fun at all if your diet leaves you feeling hungry all the time. 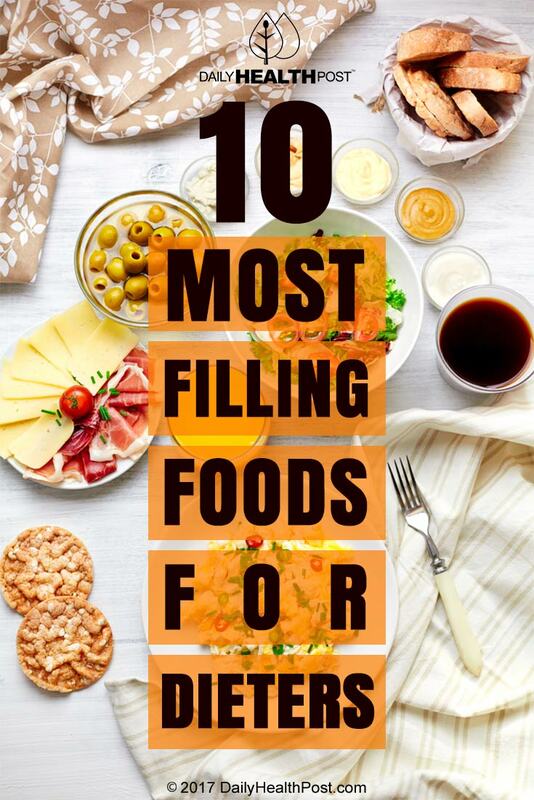 Make sure you add in these ten foods to your diet, to help you stay fuller and feeling satiated longer. Nuts. Although nuts like pistachios, almonds, and cashews have a high level of fat content, eating them in moderation can make you feel like you just ate a hearty meal. 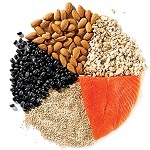 The good fats and protein they contain help your body feel more satisfied with your snack, and they also pack in tons of fiber and antioxidants. Eggs. These are another good-in-moderation food. Studies have shown that people who eat a breakfast that includes eggs tend to eat fewer calories throughout the day. Just make sure you stick to a healthy cooking method, like hard-boiling or poaching instead of frying. Beans. These versatile legumes contain two types of fiber – soluble and insoluble – as well as a significant amount of protein. This combination can help fill you up while simultaneously lowering your cholesterol. Salad. If you start your meal with a salad, you’re likely to eat 12% fewer calories during your meal than if you dive right into your main dish. Why? The water and fiber content of the veggies help fill you up, and you feel like you’ve gotten to eat extra. Soup. Similar to the salad effect, starting your lunch or dinner with a bowl of a broth-based soup (extra credit if it contains lots of veggies) can help fill you up with a low-calorie extra course, keeping you from going back for seconds. Extra veggies. Sneak in some extra servings of high-fiber, low-calorie vegetables by mixing them into your meal. Whether you’re having a pasta dish, stir-fry, or even pizza, loading on additional vegetables like broccoli, mushrooms, shredded carrots, and spinach can give your food some extra bulk that will make it more satisfying. Whole grains. An oatmeal breakfast or a dinner that includes a whole grain like quinoa will make you feel way fuller than if you stuck to simple carbohydrates. Because fiber takes your body a long time to digest, whole grains rich in fiber will keep you feeling full for hours after your meal. Fish. A study published in Nature found that healthy individuals who ate fish for lunch tended to feel fuller later in the day, and they ate fewer calories at dinner than study participants who ate beef during the day. Potatoes. It sounds counterintuitive, since potatoes are high in simple carbohydrates, but a landmark study on satiety actually found that boiled potatoes ranked the highest in terms of satiety out of the 38 foods studied. If you want the benefits of satiety in a slightly healthier form, try sweet potatoes instead of white potatoes. Apples and Oranges. The same study found that out of all of the fruity snacks you could possibly be eating, apples and oranges are the most likely to make you feel full for an extended period of time. So if you need a sweet pick me up between meals, an apple or an orange is your best bet.